A great older cup for more advanced mouths. 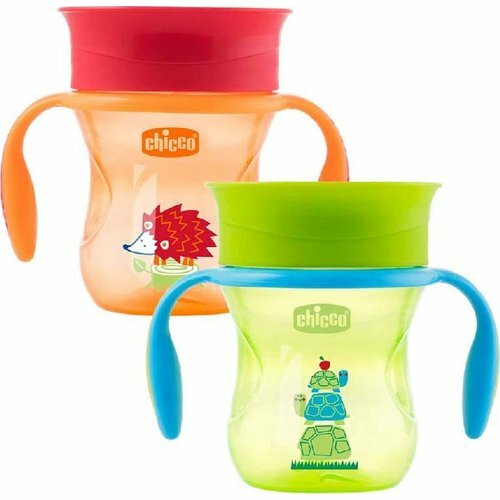 360-degree lip-activated silicone membrane promotes independent drinking by releasing liquids when baby’s lip is pressed against the rim. Features a clear silicone membrane so baby can see liquid coming towards it and learn to decode this input. Removable membrane for free flow open cup training with or without handles as a real glass. 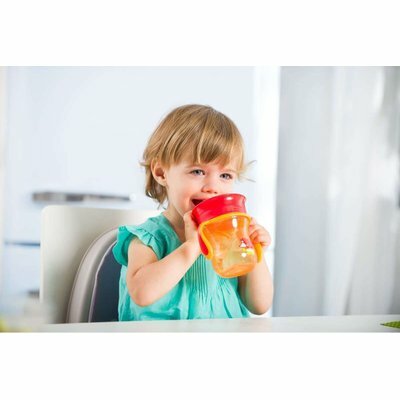 Spill-proof system to reduce the sucking and enjoy a comfortable drink. 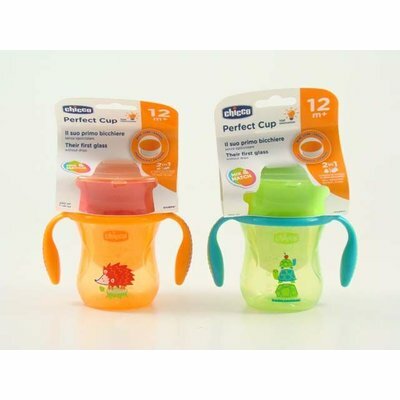 Removable, easy-grip handles ideal for developing grasp. One blow-mould – no seams.